Some cheap – and free – things you can do your bike to make it even better. And we’re not going to cop opt and do a ‘ride your bike more’ one. Bigger tyres are grippier, comfier and arguably faster rolling. For road bike tyres try moving from 23mm up to the ‘new normal’ 25mm size. And if you’re still using the tyres that came with your bike chances are they’re OEM spec which are often heavier, with a less-supple carcass and made of a harder, sketchier compound. We all put up with less-than-perfect cabling for far too long. Our brakes feel stiff and underpowered. Our gears take a little bit of extra coaxing into position. We’re a bit silly really. 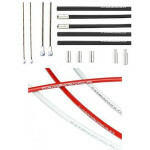 Bunging on a fresh set of cables is a cheap and relatively easy task to do. Your bike will feel just that little bit sharper as a result. Again, if you’re dealing with cabling that your bike came supplied with, it could well be spec’d with cheaper, squidgy cabling that may also have been installed in a less than ideal manner. 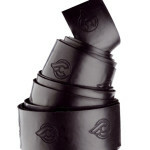 On road bikes, often the supplied bar tape is a bit on the harsh side. Most riders could benefit from switching to a thicker variety. A lot of pros still opt for traditional cork tape and if you’ve never used it, you should at least try it once. 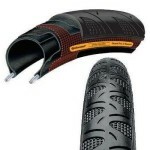 On mountain bikes, conversely, the supplied grips are often too fat. Which may suit some people but we reckon there’s a lot to be said for going a bit skinny on your grips. Increased control and even – surprisingly – comfort can be the result. We’re slowly leaving the tradition of MTFU gearing behind. Even the road pros run 27T cassettes these days. There’s really very little reason to put up with a small cassette on your bike these days. Go large! In the mountain bike world things have taken an even bigger leap into dinner plates. Riders are ditching their chainrings up front and running a single chainring combined with an expanded sprocket range cassette at the rear. Learn some basic routine maintenance. 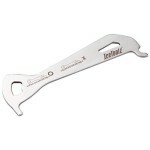 It’ll keep your bike handling nicer for longer and also extend the life of your bits. Gear indexing, chain shortening, brake pad adjusting, headset regreasing – that sort of thing. Browse our How To section for some starters. Personally speaking, I’m terrible at this. Quite often I’ll head out without any breakfast, really struggle for a couple of hours and then end up taking the grim slim pickings from a petrol station or corner shop. An extra ten minutes spent having a bit of something to eat and drink does you the world of good. 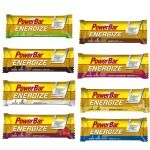 And if you’re going to be out for more than an hour or so, it make sense to take along an energy bar. You’ll never get the best out of your expensive bike if the driver is under-fuelled. 99.9% of bikes come with rubbish brake pads. It’s just a fact of life. Replace them immediately. Don’t just wait for them to wear down. 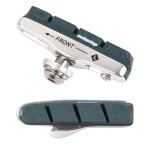 Better brake pads = faster riding and less fatigue. 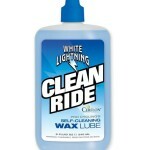 Buy some cycling-specific chain lube. Yes, it’s meant to wear/wash off. Re-apply before and after every ride. 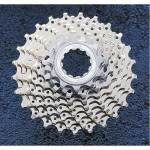 For a handful of quid you’ll save yourself loads of money in increased drivetrain life. Listen to your body. Take a step back and look at your bike. Is there anything you can re-position to improve your position on the bike? Saddle fore-aft? Saddle angle? Stem height? Bar angle? Brake lever angle? If you’ve had your bike for a while but never really changed the position of anything on it, you are probably really missing out on several free potential bonuses. Buy a chain checker. Use it. 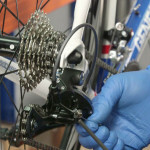 If a chain checking tool is used regularly it’s possible to go through three of four chains without having to replace the cassette. Okay, so this last tip won’t really make your bike ‘better’ but it’ll make you feel better. If you feel better, you’ll ride better. Probably. Tagged beginner, bike setup, how to, lube, maintenance, nutrition, tools, top 10, top ten, upgrades. Bookmark the permalink.